Barrick’s Native Affairs Manager, Brian Mason accepts the American Indian Achievement Contributor/Supporter of the Year Award. ELKO — The Nevada Indian Commission hosted its annual American Indian Achievement Awards Banquet at the Stewart Indian School Gym in Carson City to recognize recipients who have positively influenced the communities and lives of Native Americans in Nevada. 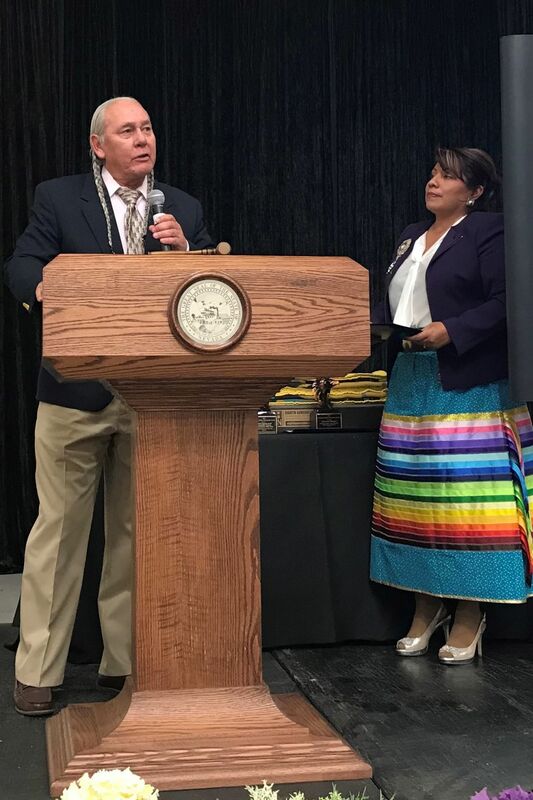 During the annual banquet Nov. 19, Barrick’s Corporate Social Responsibility Native American Affairs Division was awarded the American Indian Achievement Contributor/Supporter of the Year for the company’s work with Western Shoshone Tribes. Barrick works collaboratively with Western Shoshone partner communities with the goal of positively impacting economies, workforce development, education and cultural preservation. Since 2015 Barrick has invested more than $8 million in community development projects, including events for tribal youth focused on leadership, programs to preserve culture and promote education, quarterly dialogue meetings to further strengthen the mutual relationship with tribes and workforce development and job skills training. In 2018, Barrick and partner tribes celebrated the 10th anniversary of the Western Shoshone Scholarship Fund, commemorating Barrick’s milestone of distributing more than $3 million in Western Shoshone scholarships. “The work we do as a Native American Affairs Division is driven by the priorities of the tribal communities. Together, through our Collaborative Agreement, we are able to support tribal initiatives that mutually benefit tribal members, tribal communities and Barrick. As a team we are excited and looking forward to our continued partnership and building upon our existing tribal programming. We are honored to be recognized by the Nevada Indian Commission for the work we do with our tribal partners,” said Brian Mason, Barrick’s Native American Affairs Manager. 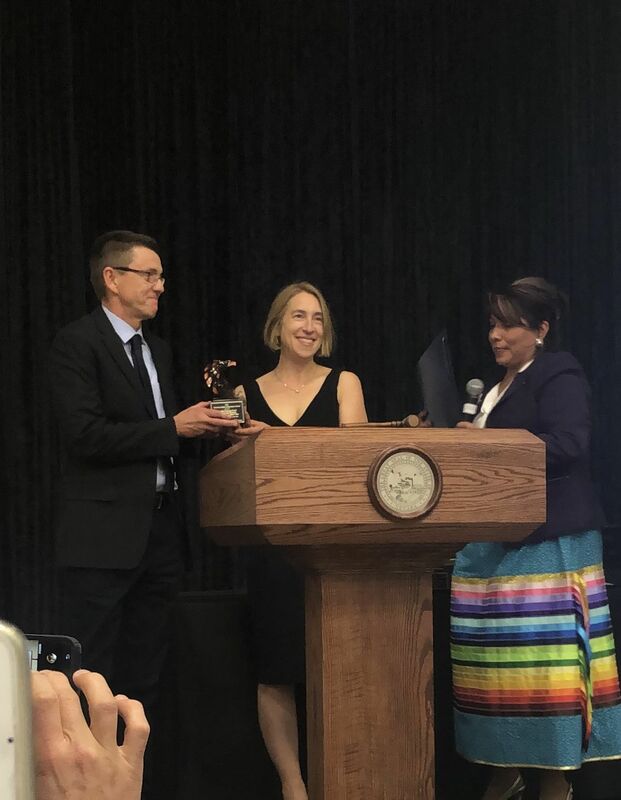 The Annual American Indian Achievement Awards also recognized Laurie Thom as Community Leader of the Year and Christina Thomas as Youth Services Role Model of the Year. The annual event was held in conjunction with Nevada Governor Brian Sandoval’s proclamation of November as Native American Heritage Month.